A pivotal early film in the wave of racially progressive dramas of the 1950s and 60s, Joseph L. Mankiewicz’s No Way Out is an electrifying film-noir about a doctor whose ethics are put to the test when he comes into conflict with a racist criminal. Dr. Luther Brooks (Sidney Poitier; The Defiant Ones) is assigned to treat two prisoners, the Biddle brothers, who were shot during an attempted robbery. Ray Biddle (Richard Widmark; Kiss of Death, Twilight’s Last Gleaming) refuses to be treated by the black doctor, and when his brother John dies under Luther’s care, Ray becomes consumed with vengeance. His anger and hatred ignites racial tensions within the community, and events quickly spiral out of control. Released during the early days of the civil rights movement, No Way Out received critical acclaim but faced censorship for many years due to its incendiary nature. 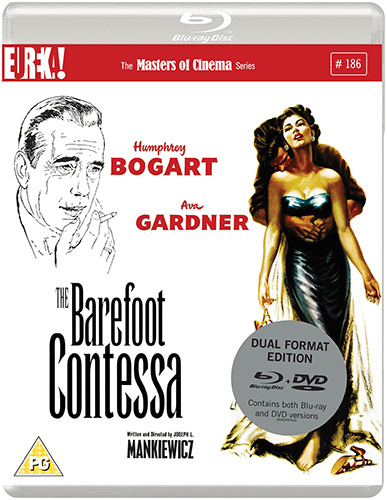 It has since been recognised as one of Joseph L. Mankiewicz’s greatest filmmaking achievements. 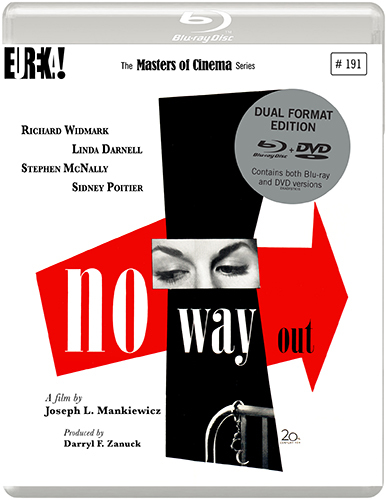 The Masters of Cinema Series is proud to present No Way Out for the first time ever on Blu-ray (and in its debut on UK home video) in a special Dual Format edition.